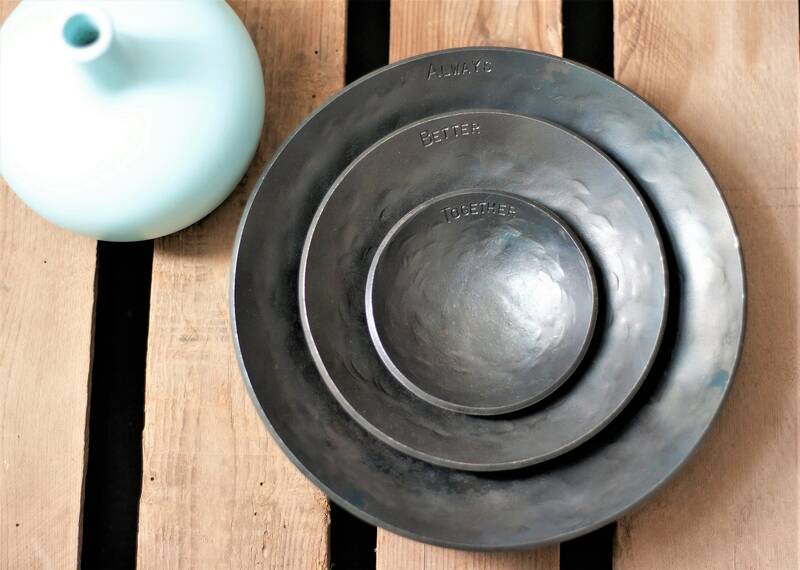 A beautiful Set of Three Steel Bowls. 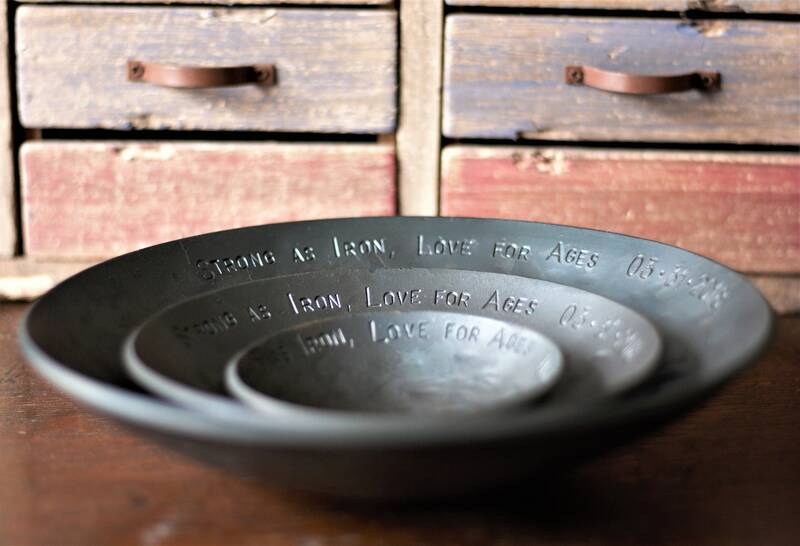 These hand forged steel Bowls make the perfect 11th Wedding Anniversary Gift, functional art of the highest quality. 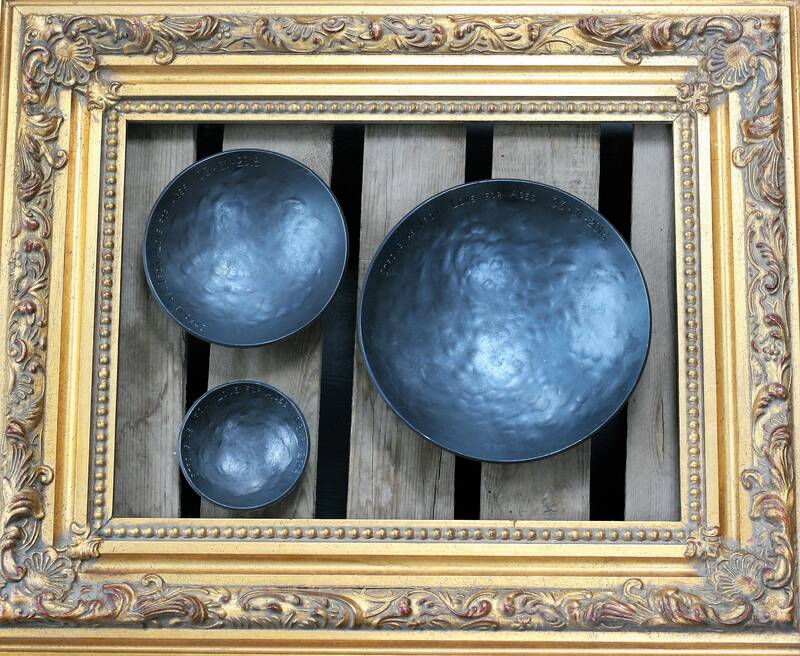 Each Bowl is hand made by Metalsmith Chris, in our Blacksmiths workshop in Cheshire, England. The metal has been shaped by repeated heating and hammering using traditional skills and tools. No two will ever be alike, the subtle differences brought about during the forging process - that's the beauty of hand made work. 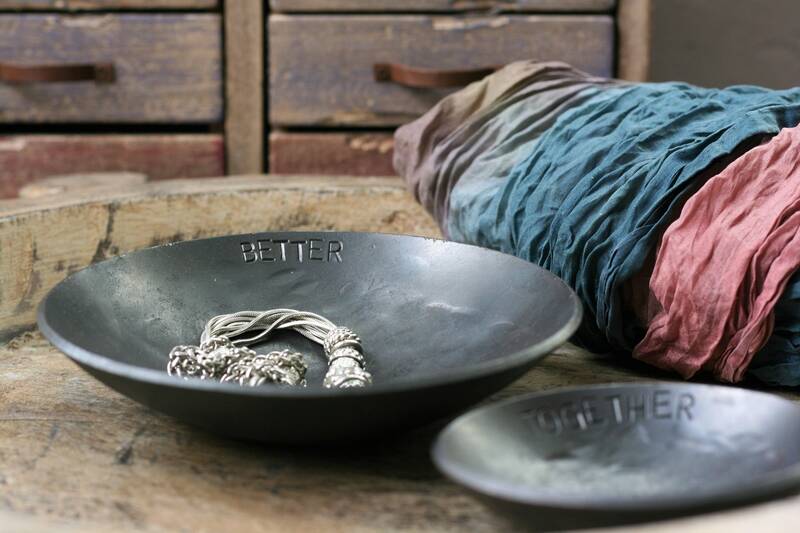 The forged Bowls are treated with several coats of 'Renaissance Wax' to create an attractive and protective patina. 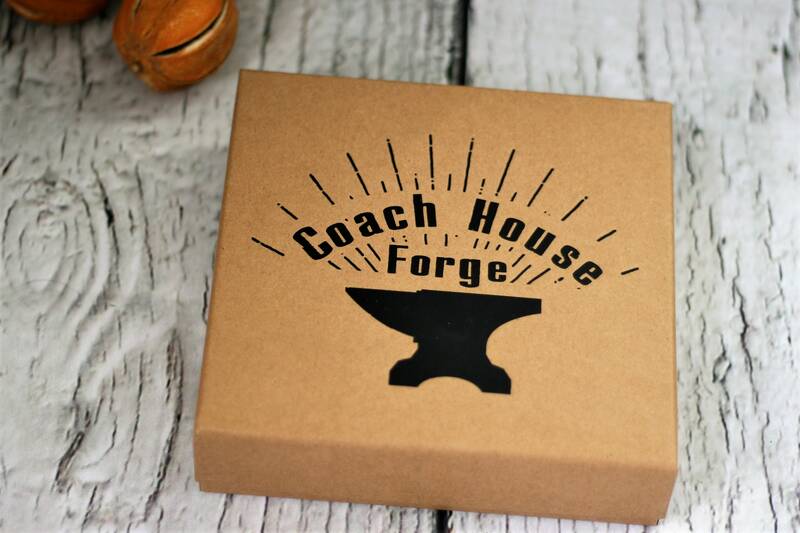 Each Bowl is 'signed' on the base using the Coach House Forge touchmark. 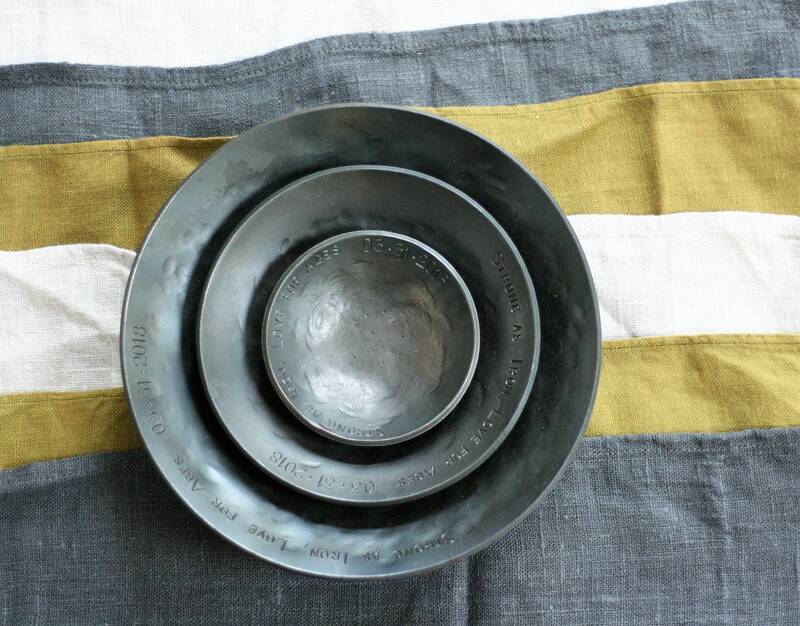 Interestingly, each bowl rings like a bell if tapped on the rim - used to announce dinner time in our house! 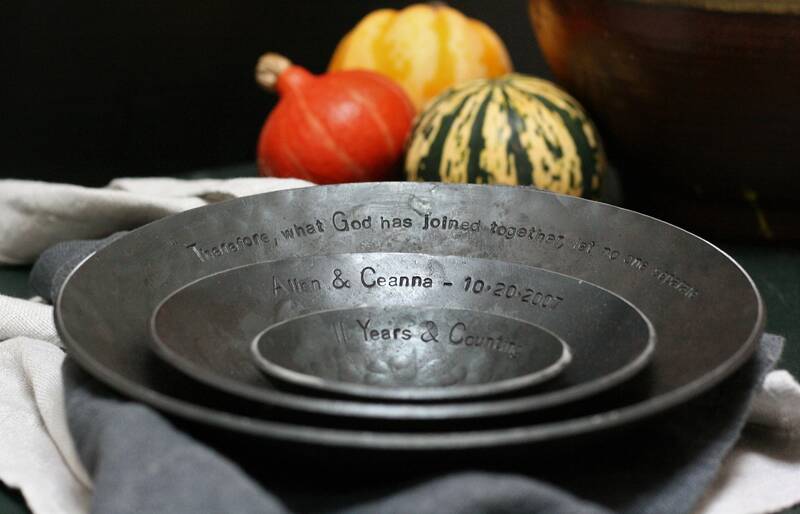 Your bowls can be personalised to create a totally unique gift for your anniversary or special occasion. I can hand stamp your messages using individual vintage letter & number punches. 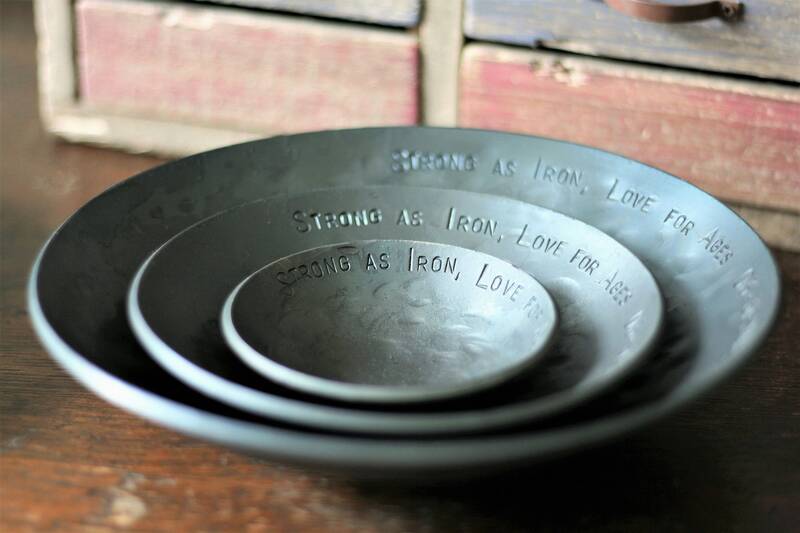 * If you don't want your Bowls personalized just go ahead and select the 'No Stamping' option at checkout. 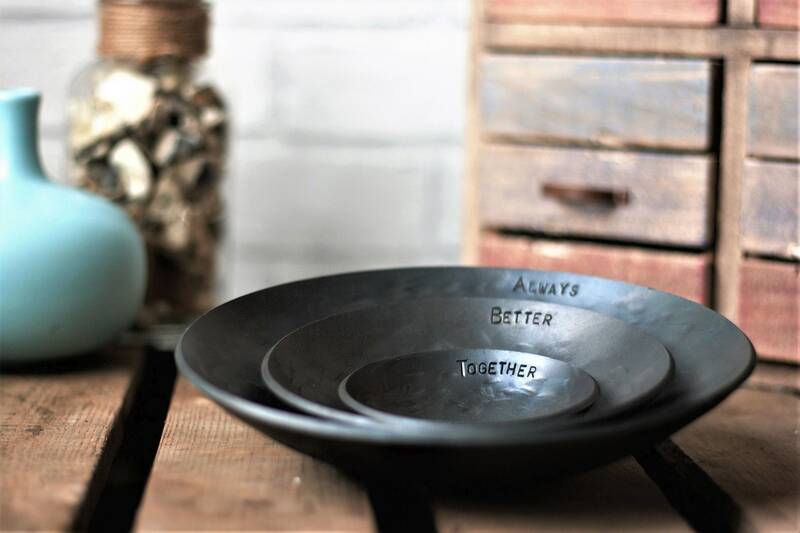 * For personalised Bowls simply compose your messages, for all three bowls, and count the total number of characters (you don't have to count spaces). Then select the correct option at checkout i.e. if your combined messages have 15 characters select the 11-20 character option. * Send us your messages using the *ADD AN OPTIONAL NOTE TO SELLER* button on the item listing page. Please specify the text you'd like stamping on each bowl. 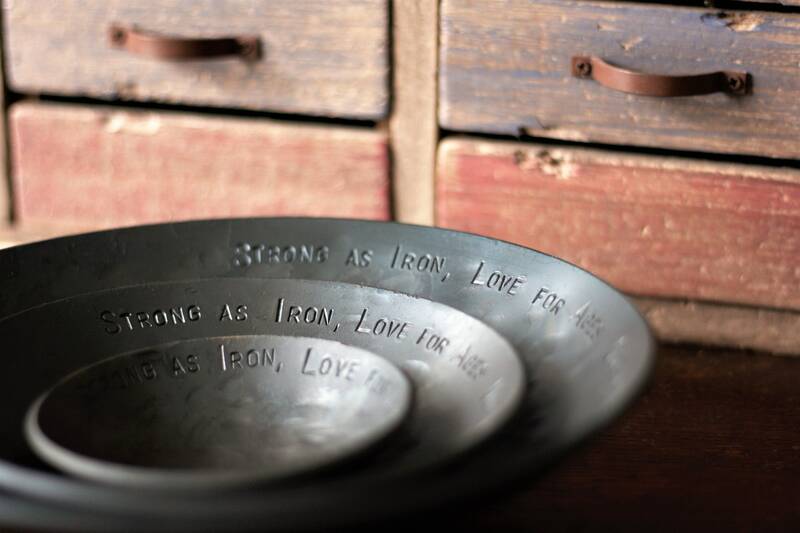 * We will stamp your messages along the inside rim of your Bowls unless otherwise instructed. * If your messages are over 100 characters long please contact us for a custom quote. This listing is for 1 large bowl. Beautiful, custom piece. A wonderful anniversary gift! Beautifully made. Very happy with these.